Fall weather has finally hit central Texas for a few days and it has me inspired to create with the beautiful hues associated with the season. 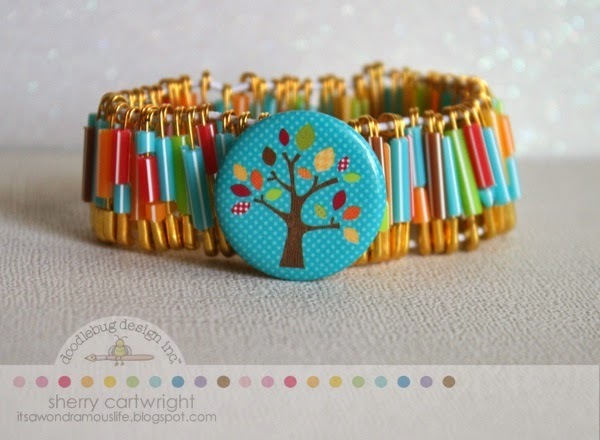 Doodlebug Design has a beautiful palette of brown, orange and gold with a pop of turquoise and lime green. Beautiful. Let's talk pixies first. Have you seen the new Pixies?! They are food-grade plastic straws similar to coffee stirrers. But, they are sturdy enough to cut and can even be bent. They are so very cute, are available in the Doodlebug Design rainbow of colors and can be used in so many creative ways. Wrap elastic cording around your wrist to measure size, then add another two inches for knotting. Cut pixies into various lengths to fit your safety pins. This creates "beads." 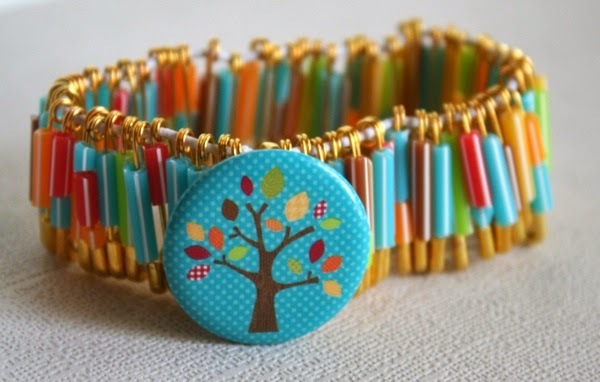 Open all safety pins and then add pixie beads. Close. Repeat oodles of times until you have enough to fit to make the bracelet large enough to go around your wrist. 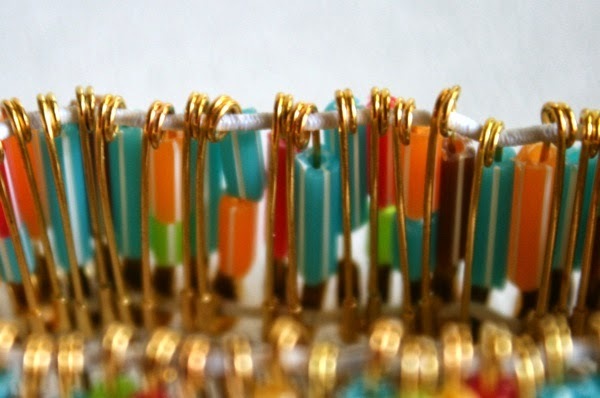 Once you have enough pixie beads made, string them onto elastic cording --- one strand through the "eye" of the safety pin and once through the "loop." Fasten off. 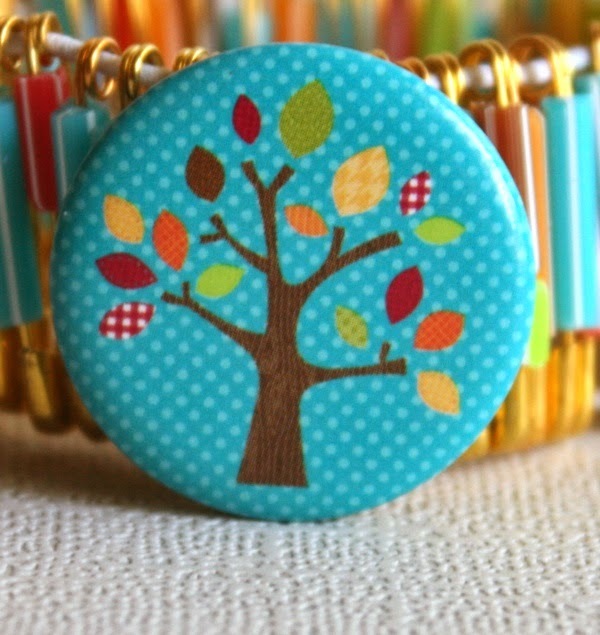 I added a cute tree pin given at CHA, but you could turn a new doodlebug design doodad [think trendy flair or flatback pins] into a pin by adding a pin finding, available at craft stores. 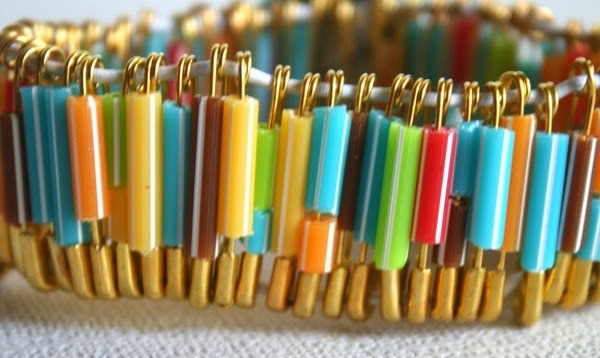 Cut pixies into beads and string on thin elastic cord to create single strand bracelet. Make several and layer them up. Do the same thing on a smaller scale to make rings. Sew Pixies onto a leather cuff. String cut Pixie beads with seed beads to make necklace. Watch for more creative projects from the Doodlebug Design team. Be sure to share your Pixies creations with our team. We love to see your creations! I saw this on Pinterest...way cute! Oh wow! I would totally wear that! Fantastic Tutorial, I tryed to do! This is such an awesome idea! I love it!!! What a novel idea and an adorable bracelet!!! I love this so much! I can't wait to show this to my daughter. She will have so much fun making a bracelet! online retailers and grocery stores take plastic-type material credit cards intended for purchases.